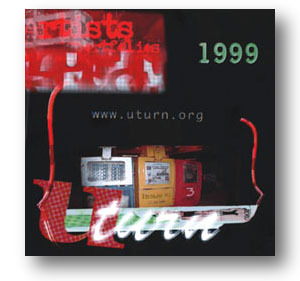 1) U-Turn E-zine Issue #1 (1998): "Art and New Technologies: Pro and Con"
HTML files of the complete issue only $10.00 US. PC compatible only. 2) U-Turn E-zine Issue #2 (1998): "All Chicago: An Electronic Exhibition"
3) U-Turn E-zine Issue #3 (1999): "The Ghost of Cornell: New Orleans Boxed Assemblage"
includes video of the editors, combines all the above issues. HTML files of the complete issue only $20.00 US. HTML files of the complete 3 issues only $20.00 US. #'s 1, 2, 3 are PC compatible only. #4 is MAC compatible only. via 1st class and enclose your invoice; shipping outside the United States add $5.00 US. 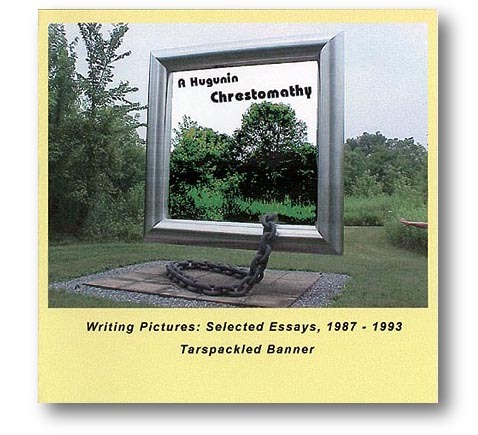 textual fragments are from works that inspired aspects of Tarspackled Banner. They may be perused as "e-books," or printed-out and bound as hardcopy. Contains HTML and PDF files; web-browser and Adobe Acrobat Reader needed. Retail sales are given the standard 40% discount. Click on MAIL button and order.